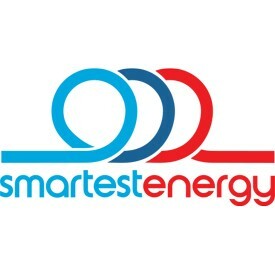 SmartestEnergy is an electricity supplier, DSR aggregator and energy trader. It is Britain’s leading purchaser of electricity from independent generators of renewables and buys directly from nearly 500 projects across the UK. It supplies 5% of the UK’s industrial and commercial power demand, including some of the biggest high street brands. It has secured 90MW of DSR capacity for 2020 and has prequalified for the capacity market auctions on January 31st and in March. This process will ensure the lights stay on and the principal way it will do that is to pay large, old power stations a benefit to continue to make themselves available. Without these payments from National Grid, many of these power stations would not be commercially viable and they would shut down and decommission. The above solution is very much the ‘old energy’ solution to ensuring we keep the lights on. The ‘new energy’ solution however is also included in the National Grid tender and SmartestEnergy will be participating in the auction to offer such ‘new energy’ solutions. So, what is the ‘new energy’ solution to keeping the lights on? The continued growth of renewable power and the introduction of new technologies are creating a future where the energy system is local and flexible. In that future, rather than pay old power stations to continue to be available to run we will instead use that local flexibility to manage the system and ensure supply meets demand. That local flexibility will be provided by consumers who can reduce their demand during peak periods - demand response. The logic of using this flexibility to manage our energy system makes sense: it has a lower marginal cost than any alternative; can be quickly deployed and it benefits from existing and proven technology. Given that, it’s surprising we don’t use it more and benchmarking our use of demand response to other overseas markets suggests we could soon be using two or three times more than we currently do. This Capacity Market Auction aims to provide back-up power at the cheapest price and the costs of that are then passed on to business users in the form of higher charges at peak times. This therefore means that the auction provides flexible consumers who can offer demand response services two big attractions: they get paid for curtailing their consumption during periods of peak demand and at the same time, avoid the higher costs of consuming that power during those peak periods. With energy price volatility increasing, those saved monies will become increasingly material - the average SmartestEnergy customer could save £5,000 from avoided peak charges for every £1,000 earned from offering demand response to National Grid. Those businesses that have made the decision to be flexible and to participate in demand response then have the tools in place to make further revenue by selling power back to the market instead of consuming it themselves during peak periods of demand. A consumer acting like a power station might seem odd but with energy prices last winter rising above £200/MWh on 37 separate occasions, there is a strong financial incentive to consider doing this. If a business can provide demand response then it can use the same mechanisms to sell into the energy market. This therefore represents a big incentive and the auction is a real opportunity for organisations which are prepared to rethink their use of energy to make money and save costs as a result of their flexibility. And most businesses do have some flexibility - a recent industry report suggested most businesses can shift 10% of their energy usage with little impact on operations. Supermarkets are reducing power to fridges and freezers for short periods, manufacturers are shifting production outside peak hours, hospitals and data centres are switching to back-up power. Across the UK there are nearly 10,000 businesses of the scale necessary to seize this opportunity. Typically, they will be spending £1m or more on electricity and consuming at least 10GWh per annum. Some of these businesses will be big enough to take advantage of these opportunities themselves, but many will be looking for partners like SmartestEnergy who can help them navigate the complexities of the contracting process, ensure they maximise income without affecting core operations and provide the expertise to trade their energy. With demand response widely expected to get much bigger very quickly; and National Grid expects to meet 30% to 50% of balancing services from demand side response by 2020; smart businesses will be those that seize the opportunities provided by demand side response and gain a competitive advantage over those businesses that do not.